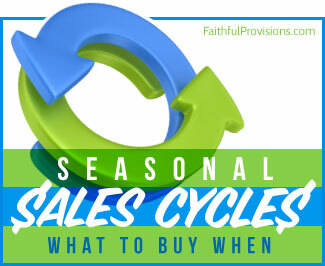 It’s been a while since I was in college, and it’s going to be a while before my kids are there, so my friend David Powell agreed to review this new product from Dave Ramsey, The Custom College Guide. Read his review, then scroll down to enter our giveaway! As a high school senior, I’ve learned many things about what to expect in college: great friends, horrible food, late nights, and lots of coffee. I’ve learned something else, though. And the cost seems to be climbing. As a prospective college student, I completely understand that. I’ve been hoping for some scholarships and, like everyone else, I’ll be taking a few loans. And that’s the trap. That’s where I missed it. When it comes to getting money for college, no one shoots straight about loans because it just doesn’t seem to matter at the time of enrollment. No one talks about how people grabbing student loans right now will be paying off those loans for a large majority of their lives. In all my college visits, no admissions team has cautioned me about student debt. Despite what you may have heard, students don’t have to go into debt to go to college. Dave Ramsey’s Custom College Guide is here to show them how. Dave Ramsey, radio talk show host, author, and expert on money, has seen how going into debt in college has diminished the opportunities of American young adults. Enlisting the help of his daughter, Rachel Cruze, Dave has built the Custom College Guide to organize your university options and point you in the right direction. Recently, I received my Custom College Guide. It’s helped my college search, and it will help yours too. Here’s how it works: When you call for your Custom College Guide, a real, live adviser answers. You tell them as much as you possibly can about everything related to your college situation: where you’re thinking about going (you can choose up to six schools), what kind of money you can put towards it, your grades, your background, and your best SAT or best ACT score. They put the information together, and about a week later, you’ll get your personalized custom college guide, tailored with information specifically for you, showing your best buy when it comes to college. The call was painless, and both people I talked with couldn’t have displayed better customer service. The whole process took around 20 minutes. What college is most cost-effective for you: When giving your information when you order the guide, you have the opportunity to list up to 6 colleges that you have interest in. The guide breaks down the cost of each and compares them side by side for you. It’s even color-coded. What government and state aid you’re eligible for: The guide lists the possible government and state financial aid in your location. This is helpful, because it shows possible scholarships that you might not have even known about. Then, based on information you gave while ordering, it tells you whether or not you’re eligible for the scholarship. FAFSA Filing: The college guide comes with a FAFSA service! Everyone has to file the FAFSA for college, and it determines quite a bit about what scholarships you’ll receive. It’s not a fun process, though. No one likes to fill out the FAFSA. With the college guide, though, all you have to do is call Dave’s team and let them do it for you. The guide shows you how to afford the school you choose from those options. Stay out of Student Loan Debt! I’m inviting you to enter for the chance to win your own Dave Ramsey’s Custom College Guide. See all the details below. Dave Ramsey is offering one copy of Dave Ramsey’s Custom College Guide (a $139 value!) to one randomly selected winner. The winner will be announced notified via email on Thursday, March 7, 2013. Faithful Provisions Giveaway Disclosure: Dave Ramsey sponsored this giveaway. For more information about Faithful Provisions, please read my Disclosure Policy. *One entry per person per method of entry per day. Be sure to enter a separate comment for each method of entry (one comment for Facebook, one comment for Twitter, etc.). This way you have a higher chance of winning. PLEASE LEAVE AN EMAIL THAT YOU CHECK OFTEN, SO THAT WE CAN NOTIFY YOU EASILY IF YOU WIN. 1. COMMENT: Leave a comment telling me what college or university you or your student would like to go to, and if you think it’s possible to go debt-free. GIVEAWAY ENDS Wednesday, March 6, 2013, at 11:59 pm CST. The winner will be drawn using Random.org. The winner will be notified via email. My daughter would like to go to Lipscomb. Not so sure how to do it debt-free. I’d love to hear what Dave Ramsay has to say! I subscribe to your email newsletter. I love it! I follow Dave Ramsey on FB. I am posting this to my FB wall. I follow Dave Ramsey on facebook. My daughter would like to go to Harding. It will be very difficult to there for 4 years debt free. I subscribe to your email newsletter and appreciate all of the work you put into it! My son Jonah would like to go to Auburn University. Not sure how to go debt free. Thank you for all you financial advice. LSU- I have a feeling it will not be easy to go debt free. My son is just a sophomore, but already there is such an emphasis on looking at colleges. I know Dave would give us a great head-start! 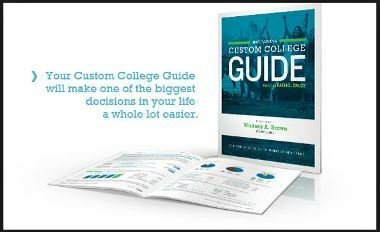 We would love to receive Dave Ramsey’s ‘The Custom College Guide’. My daughter is studying at Lee University and we are striving to continue her education debt free. I would love for my son to go to Union University ~ He is thinking LSU 😉 Debt-free? I doubt it…..
My son is a freshman at Palm Beach Atlantic…help! I NEED YOUR ADVICE. Help us find out how to make it debt-free! My daughter would love to go to UT. 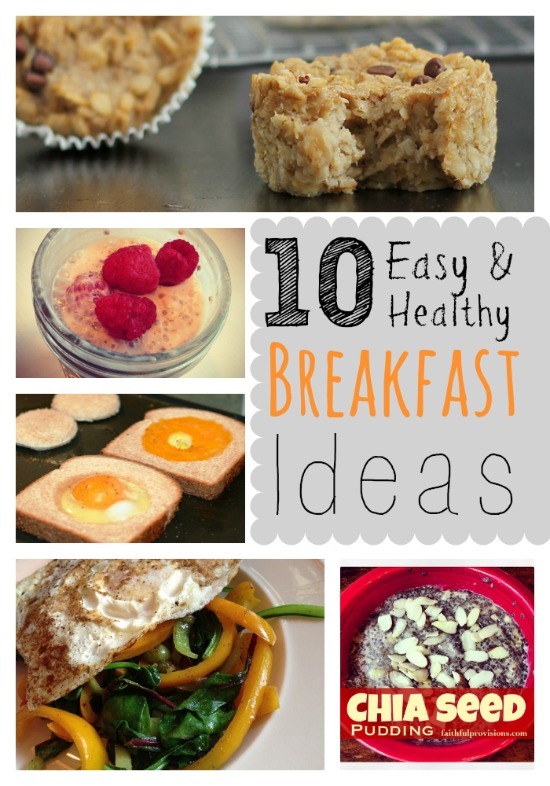 Would love to find out how to do it affordably! My daughter is going to attend University of North Dakota. I think that with some creativity and hard work it is definitely possible to go to college debt-free. Love Dave Ramsey! Would love to see how to afford college with advice from Dave. My daughter hasn’t even decided what college she’d like to go to yet…and we’re running out of time! We’re leaning toward a local 4-year college for at least the first year until she decides what she really wants to do. My son is hoping to attend KU next year. My son would love to go to UGA, but short of an academic scholarship, I don’t know how to do it debt free. Show me how! I posted it on facebook as well..
Don’t know which college yet but do plan on my son going debt free! My daughter is attending University of Wisconsin Madison and we have been trying really hard to do it as debt free as possible especially since I have two more behind her. My son is nearing 16, so college plans haven’t been made yet, but it sure would be nice for him to do it debt free! I follow both you and Dave on Facebook! my son plans to go to michigan in the fall…already have a daughter at state! help! My son will be attending Embry-Riddle soon and I have been praying for financial help! I have taken the Dave Ramsey “Financial Peace” University course through church and am finally starting to put some of the information into practice. I would love my child not to be saddled with debt when all is said and done. My daughter really doesn’t know where she’d like to go! Need advice on how to pick the best school! My daughter is going to Lee University next year after having spent two years in community college. We are working extra hours to avoid debt and she is working while going to school. Christian colleges are of high importance to our family ! I subscribe to your newsletter. I love the daily tips, guidance, and inspiration on how we can save money while still living a life of generosity. My oldest son graduated with his MBA this year debt free. My second child has one more year, so far, debt free. We have three more children to go. Since we homeschool, we started our high-school sophomore in college classes at a local community college. So, we are already paying for college for him one bite at a time. The Lord is Faithful. We are trusting that the same Lord who helped fund the education of the first two will guide and lead us with the youngest ones. Love Dave Ramsey, so grateful that finally someone is addressing the growing problem of student loan debt. May all those who desire to do this debt free will find the way to do it. My second son wants to go to EKU. Yes, he will go deft free. We just finished puttung our fist son through UK debt free. We just learned to live frugally but fun life. Wow, would love this help in choosing a college, we are looking intoo GTCC. Tech school for PTA. One of the services this guide is selling is having them fill out the FAFSA for you. I don’t see how that would be much of a benefit, because in order for any service to fill out your FAFSA, you are going to have to provide them the same information that the FAFSA requires, so I don’t see how that is a time saver. My son would like to go to NYU – both of my other kids transferred schools after a year (losing scholarship money) so it seems we could use help to choose a school for the last kid to attend and hopefully not transfer elsewhere! Columbus State Community College. She plans to work and pay as she goes. My daughter is a junior and has just taken the ACT and SAT for the first time. This would be SO HELPFUL on this crazy journey we are starting. It looks like she is preferring a five year track at UTK that will award her both and undergraduate and graduate degree in the five years. I would love to use this college guide as we search for the best school for our high school senior. Really enjoy both Faithful provisions and Dave Ramsey! College will be here before I know it for my kids. My daughter would like to go to Campbell Univ. However, w/out any type of scholarships there is no way she could go there debt free! My son would love to go to school debt free to Eastern Ky. University! We would love to learn how! I just posted this link to my Facebook wall. good luck! My husband is currently going to school on-line and would like to also take some classes through another school for a different degree. We also have 4 children who we’re hoping will all go to college so any and all advice will be much appreciated! We totally respect Dave Ramsey. My daughter and step-son would both love to be able to transfer to The University of Alabama in Birmingham once they finish at a local community college. This would be awesome for them! My son wants to go to Virginia Tech which is out of state. I would love to learn how he can go debt free. We follow Dave’s plan, but unfortunately didn’t start before we had one daughter going to college. We have had to use financial aid, and are now getting ready to send our second daughter to college. We plan to send her without any financial aid, but costs are sky rocketing and don’t know if it will be possible. Our oldest daughter chose to live at home and attend a four year college and graduated with a $2500 federal loan total. Now that she is preparing for graduate school she will be at the same University and can afford the tuition. Our son graduates high school this year and he is using his HOPE scholarship and will be in an ROTC program that will pay him as well (he will be living on campus).. This can come in very handy for our household. Next year we begin graduating a child every other year for the next upteen years. They are responsible for their own college costs but we want to guide them to the school that’s right for them. My son is only 3, but it is never too early to plan. I am not sure how to send him to college debt free, since we are still paying off our loans and it seems like it will never end. My daughter is leaning towards TCNJ. I would love to be able to do it debt free and I’m not sure exactly how I am going to approach that! We have 5 kids and are getting ready to send the first one off to college. We need to do this as debt free as possible. She would like to go to a big state school like UT. I do think it’s possible to attend college debt free, or close to it. Both my husband and I did it, but I had help. I would love to hear about about going debt-free for my kids! I would like to see my child at Vanderbilt or Belmont. We are beginning to look at the hundreds of options. I receive your newsletter! Great info! Thanks! I follow Mr. Ramsey on facebook! My son would like to attend Palm Beach Atlantic in West Palm Beach Florida to get his Pharm D and do medical missions trips. He is currently a high school sophomore and getting his AA degree at the same time through the local college as a duel enrollment. Our daughter will start BYU in the Fall, and finish debt free. My daughter is looking at Carson Newman and still a few others. I receive your newsletter and follow you and Dave on FB and Twitter. My daughter is looking at Pepperdine, George Fox and Lipscomb. Love your site and this opportunity to enter for Dave’s college guide. Already subscribe to your newsletter via email. My son is planning to attend KU next year..
Hope my son can go to Murray State debt free! I would love to accomplish my goal of teaching to the deaf and hard of hearing by getting a degree from University of Tennessee. As a mother of four, I am passionate about this! My eldest daughter is only (almost) 12, but she would love to go to a university where she can expand her abilities as an artist and apply it to a career that will pay her bills… I am sure there is a way to do it debt-free, but it takes hard work and knowing what resources to use. I would love to win to get us started in the right direction. Especially since we still have my husband’s student loans and have four kids to send to college!! I had no idea you had a newsletter! I just signed up for all of them. This will save me some time. Follow you on FB – Love your posts! Both my brother and sister are graduating from college debt-free and I believe that I can too! My daughter is planning to go to a small Christian College, though we aren’t sure which one yet. My brother and sister are both graduating from college debt-free and I believe that I can too! What a blessing it would be to go to college and graduate “Debt Free”. Thank you for the opportunity! If I did Twitter, I would follow you there too! Both my husband & daughter are looking at schooling right now. This would be very helpful. I followed both Faithful Provisions and Dave Ramsey on Twitter. I Followed both Faithful Provisions and Dave Ramsey on Facebook. My son plans to go to Kansas University next year.. I already receive your newsletter as well..
My son who is a junior has recently been ranked 18 out of 445 classmates. He wants to be a neurosurgeon with preliminary undergraduate plans to attend UVa, William & Mary or Virginia Tech. He’d love to attend Liberty University, but private school is probably out of the question with med school looming in the background. I can see completing undergraduate school as debt-free or minimally indebted, but med school, I highly doubt that! Thanks for all the wonderful links, resources, Scripture, devotionals and ideas here on FP. Blessings to you, Kelly! Our son (oldest of three) has been homeschooled since kindergarten. By God’s grace he has received a total of over $132,000 in academic scholarships, and $72,000 of that was to his first choice university! He applied for many, many, MANY of the Internet scholarships available from popular websites and received NOTHING. Not one dime. Zippo. He has written more essays the past ten months than most people write in all four years of high school, but all of the scholarships he has received have come directly from the universities. One big thing we learned? Apply EARLY. As in October (though some schools will want you to apply in September!). By December, most of the academic scholarships had already been awarded for next August admission. He has a very good ACT score and SAT score but it’s far from perfect. Some other things we learned that may be helpful for people here: 1. Keep taking practice standardized tests to get your scores up. Sadly, many university scholarships rate the test scores above everything else, so it helps to achieve the highest score possible. And my son scored much better on the SAT than the ACT, but universities will take either one, and some schools in the Northeast really prefer the SAT. Practice writing the essay in 25 minutes. Really. It can be done, even by math students who hate to write. 2. Don’t count on general financial aid to help your family out unless you make under about $40,000 or are wanting to enroll in an elite school. The FAFSA seems to be more about student loans than grants, and unless your income is really low, there just doesn’t seem to be much in the way of grant money available at all. 3. Put together a simple two-page activity sheet listing every award, honor, club, activity, etc. that your student was in during high school and submit that along with the college application. All of the schools where my son applied had a place where you could “submit additional attachments.” Make sure everything you put in the application lines up with your attachments! (i.e., same titles for clubs, same number of hours worked or volunteered, etc.) 4. Submit a monthly update to each university throughout the senior year by email or fax or letter. Since you’ll be applying at an unbelievably early deadline in the fall, the application will not include MOST of the senior year. Colleges understand this, but it’s up to the student to update them on new accomplishments. They won’t come asking you. 5. Remember there’s a tax credit for up to $2,500 of tuition, but it doesn’t cover things like room and board. It’s called the American Opportunity Tax Credit, I think. If your child receives an academic scholarship and it doesn’t cover all costs of attendance (and few do), ask the university if it can apply toward room and board or other expenses first and if you can write a check to the university for $2500 for tuition. You should be able to get all or most of that money back as a tax credit next year when you file your taxes. Check with the university and your accountant to make sure nothing has changed on this. Some universities require scholarships to go toward tuition first, but the ones we asked said they put all scholarship money and any payments from students or parents into a big pot for “cost of attendance.” That way, you should be able to have your $2500 tuition check qualify for the tax credit (still, check with an accountant). 5. Don’t miss any deadlines!!!!!!! 6. Think twice about having your students work while they’re in school. For some majors, it’s not difficult at all to have a part-time job, but for other majors (specifically architecture, engineering, and pre-med) having a job AND going to school at the same time with outside projects, experiments, and loads and loads of homework can be prohibitive, and if grades suffer, the scholarship money disappears! My husband and I both worked 15-20 hours a week throughout college, and I would never recommend it. The pay just isn’t enough to make even a dent in those high tuition bills. I would recommend that students work in the summer or start their own business if possible. If your student starts his or her own tutoring service at college or summer lawn care business, he or she could end up making closer to $25 an hour, as opposed to making less than $8 an hour on a campus job. 7. Ask about departmental scholarships and special scholarships available for Eagle Scouts, volunteering, etc. Sometimes when you apply for the regular university academic scholarships, the same application is used for departmental and other scholarships, but sometimes you may have to submit a separate application. Find out for sure. 8. VISIT the COLLEGES! Just because YOU think that a certain university is perfect for your student doesn’t mean that it’s the best fit for them. I thought my son would love Vanderbilt; he absolutely couldn’t stand it. Turns out they don’t have any co-op programs or internships for engineering students, and he didn’t seem to be able to relate to the professors or students there on two visits he took. The brochures looked so nice, but it was not the school for him at all. Had a similar experience at Auburn. But there were other universities he loved and those are the ones he applied to. Your student may think he or she would like a small, private liberal arts school but decide later that it’s too quiet or doesn’t offer the right majors, or they may go to a big state school and feel completely overwhelmed. So, visit! And I recommend staying away from schools that won’t allow students and parents to visit (just what are they hiding?) or who won’t give you a copy of their catalog or handbook before you apply (I think Pensacola Christian still won’t, unless they’ve changed that in the past couple of years) because you might be in for some huge surprises. And beware of poor customer service from admissions departments. If they can’t treat applicants with kindness, how will they be when you start school in the fall? Just some food for thought! Hope these suggestions help! My daughter is interested in Washington University or University of Richmond. Would love to learn how to afford those. My daughter would like to go to Samford in Birmingham. With scholarship received from the college & the others that she has applied for I am hoping that she can attend debt free. I have been going to school part time as I could afford to pay for classes for 17 years. I would love to win the book and learn how to finish my degree in a timely matter. The schools my daughter is most interested in are Western Kentucky and Union University. I have two daughters(odest of 7 children), the oldest has already obtained her degree in Cosmetology completely DEBT FREE, owns her own car AND literally IS 19 and DEBT FREE! Thank you, Dave Ramsey! She has had a lot of financial help from her father, but still works two jobs, has a savings, and truly values being debt free. She is, however, interested in continuing her education at a University level. The younger of the two is currently a Junior in High School. She too owns a car which she paid for herself by working two jobs last summer and is DEBT FREE, knows the value of not being a slave to the lender, and is already planning for college and a way to get through it and remain debt free. I have encouraged her to look at College of the Ozarks, aka Hard Work U, in nearby Branson, Missouri. This is a highly recommended college, WITH a Christian worldview :-), that gives students the opportunity to “earn” their tuition by working for the college during the duration of her studies, graduating with an accredited degree DEBT FREE! She is in the National Honor’s Society and already beginning to prepare for the SAT college entrance exam that she will take next year. We do not have the means to help her with tuition, so scholarships and student loans are a must if she chooses a different school. Hoping and praying God leads her to the right place, where she can accomplish the good works He has prepared for her! I like Faithful Provisions and Dave Ramsey on Facebook. My husband is looking at getting his degree possibly through UNC or University of Phoenix. We’d love to learn how to do it debt free. I follow you (Faithful Provisions) and Dave Ramsey on FB. My oldest attends The University of Kentucky and my next in line( with 2 more behind him) wants to got there as well. So far I don’t know how to obtain a college education with out debt! My oldest is smart, top 15 in high school and has maintained the Deans list thus far and she is a Jr but, the debt free college education is not a reality for us and I would love to learn more about lessening the cost for the next three as much as possible!! My daughter wants to go to Suffolk University in Boston. I hope to do it debt free but as a single mom, I am not sure. I follow Faithful Provisions and Dave Ramsey on Twitter as @soccermomknits. I like both Faithful Provisions and Dave Ramsey on Facebook as Lennette DeLisle Daniels. I follow D. Ramsey on Facebook…. My son plans to attend KU next year…. debt free idea’s would be great! I’m currently a student at Glendale Community College in Glendale, AZ and I’m going to be going here for the discount knowledge for as long as I can. I’m hoping to transfer to Arizona State University to major in Linguistics or East Asian Studies. I know I can go to school debt-free, how though is still blurry. I set up my own 529 plan with one of Dave’s ELPs to help get me started, but beyond that and my part-time job, I’m still lost. Not sure if the Custom College guide is for transfer students, but I’m hoping it’ll help! My daughter would like to go to SPU (Seattle Pacific University). It is quite expensive and we would be so blessed to find a way for her to go debt free! Lots of prayer and Dave Ramsey’s help?